The second Episode in DONTNOD’s Life is Strange 2 has finally dropped-- is it worth the wait? Episodic games have an interesting road cut out for them; they’ve got to manage to have oomph, an X-factor that keeps people interested, and a tight schedule so that those who do invest can remember the story so far. Sometimes, developers have to turn that last one on its head to get the game that the public deserves. Such is the case with DONTNOD’s Life is Strange 2, having a four-month gap between Episode 1: Roads and Episode 2: Rules. But Episode 2 is finally here, and we’re going to examine the threads that hold them together, along with tie-ins from the greater Life is Strange universe. Rules sees brothers Sean and Daniel return, on the run during a brutal Pacific Northwest winter. Daniel has fallen ill, and Sean knows there’s only one place left to turn to: their estranged grandparents, who live in a rural area not terribly far from the abandoned cabin they’ve taken refuge in. The duration of the episode takes place there in Beaver Creek, Oregon, and focuses on the strained relationship between the two halves of their families. As I mentioned in my Episode 1 review, Sean and Daniel’s mother is MIA; now we seem to know the where, how, and why of that situation. Claire and Stephen Reynolds are her parents, and it’s shown that she (Karen from here on) vamped on not only her children and husband, but also on her own family. When Sean and Daniel show up to their home, they are stupefied, but allow the boys in and work to figure things out. Here’s where your choices come into play: you choose how much truth to tell them, as questions arise regarding cops hunting you, your father’s death, and why you ran away if you were innocent. While Daniel takes to his newfound grandparents easily, Sean is more hesitant and guarded; he actually remembers Karen and the Reynolds, and the past doesn’t paint a pretty picture. Claire was strict, unforgiving, and overly Evangelical, with a critical streak to match, while Stephen had always been the kind (but drowned out) voice of reason. You can choose to be kind in your responses, or rebellious. I chose to be kind and respectful, considering I turned their perfectly-normal lives upside down by appearing on their doorstep. The Reynolds help the boys keep a low profile, keeping them safe and out-of-sight while the manhunt rages on. At one point, the boys consider just staying there, despite the strict and sometimes sterile way Claire treats them; she’s tough on everyone, Sean tells Daniel. Claire works to treat Daniel’s illness, and soon enough, he’s back to normal… which also means incredibly bored, as a 9-year old stuck at grandma’s house with no phone, no internet, no… anything for kids, while also being on lockdown. Claire finally allows the boys to go outside and get some fresh air, and tells them that the nextdoor neighbor has a boy Daniel’s age. Who is it? You might have guessed: Captain Spirit himself, Chris Erikson! Chris and Daniel fall in as fast friends, with Daniel adapting a super persona of his own: Superwolf. Sean also gets in on their imaginative team, picking a name for himself as well (you choose your own, or you can tell them their game is dumb. But that’s a jerk move.) 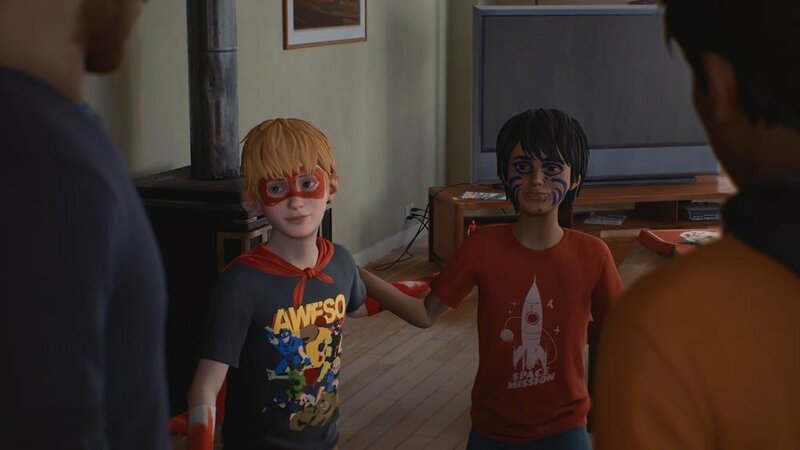 From this moment, you learn quite a few things: first off, it was Daniel that saved Chris from hitting the ground at the end of Captain Spirit-- while we all assumed he’d truly gained the powers he so desperately sought, it was Daniel’s telekinesis that saved the day. This is where things get muddy, however. As the days go on, Daniel spends more and more time with Chris… fostering the idea that Chris actually has superpowers. When Sean learns of this, he scolds Daniel, reminding him of the rule that he doesn’t show off his powers. They’re trying to keep a low profile, after all, and that would certainly make people freak. 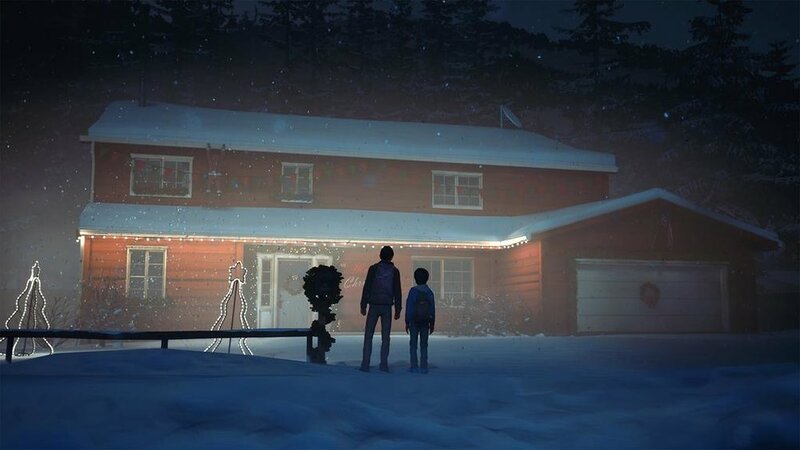 At this point, Sean meets Chris’ father-- yes, the abusive drunk we all remember from Captain Spirit-- who offers to take them all to the Christmas Market. A choice I fought against, but you all end up going anyway. You direct Daniel on how to handle the situation with Chris: either stop lying to him and tell him most of the truth, or protect the secret and be extra, extra careful. After enjoying the normalcy of the Christmas Market, you all head back, hoping that the grandparents aren’t back from church yet (and therefore don’t know you went to the market, an entirely stupid idea IMO.) You’re in luck, and the house is empty. This prompts Daniel to ask about the locked room in the house, which belongs to their mother. The grandparents have repeatedly denied entry to the room, and have made it clear that it is a rule they must never break. Being a teenager and a 9-year old, they make another brilliant decision, ransacking the house for the key and opening the door. While they find mostly dated stuff of Karen’s, they do find a letter: one that begs the Reynolds to help the boys if they show up to the house. Karen has been in touch after all, but no one’s told Sean and Daniel. Of course, an explosive confrontation comes from this as Claire and Stephen return home and find the boys in the room. Just as you’re anticipating the boys being kicked from the house, all hell breaks loose: Stephen has stormed downstairs, and a rickety cabinet has fallen on him. At this point, you can choose for Daniel to either use his powers and lift it, or just ask him for help. As I had spent the entire game teaching Daniel when it was okay to use the power, I chose to have him lift it. This of course prompts Claire to utterly freak out. In the midst of the yelling/explaining, there’s a knock on the door. It’s the cops. The boys were spotted at the Christmas Market, and traced back there. It’s just as chaotic and devastating as it sounds. In a moment of real sympathy, Claire chooses to distract the cops, giving the boys time to grab a bag and run out the back. As they rush, Chris is seen outside, and directs them to a secret path through the woods. Home is lost and found, just that quickly. The episode ends with Sean and Daniel in the woods, discussing their options. Only time will tell which path they choose. For me, this episode showed more promise than the first, despite being at a significantly slower pace. Sean and Daniel are more fleshed out as characters, and the complicated balance between family is illuminated. I had several moments of unpolished graphics, which made me a little wary; sometimes, eyes or features just never finished rendering, leaving an eerie glassy look over characters while they spoke. This happened most to Sean and Daniel. Otherwise, it follows the formula faithfully, allowing more varied choices than the frantic ones of Episode 1. More subtle, more nuanced, and with enough rise and fall in action to keep the story interesting. I’m not excited to go back to the nomadic ways of Episode 1, but we’ll just have to see where the road leads. Overall, I enjoyed Episode 2 better than the first, and I’m more invested than ever before. Still, I’m holding back my “definitely buy” recommendation, as a lot of this tale will be made or broken in the episode to come. 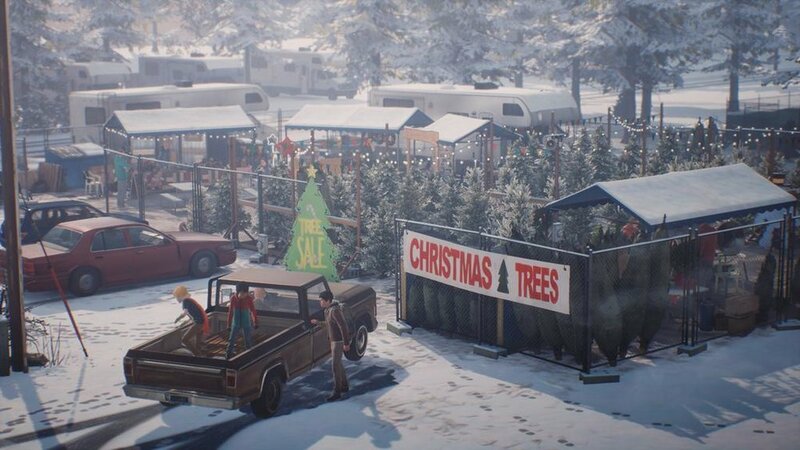 If DONTNOD continues to take their time and get the narrative right, I think we’re in for another great one.